You might have stumbled into it in the header area, but if you haven’t: my first EP is out. 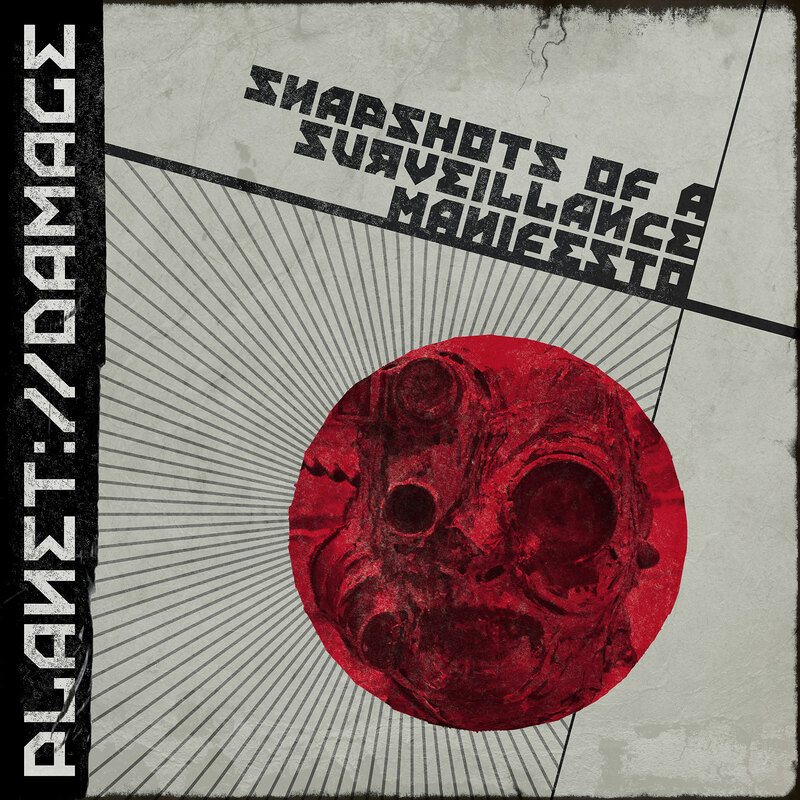 “Snapshots of a Surveillance Manifesto” has been in the making for something like one and a half years – definitely wasn’t one of my fast-moving projects but hey, it is now officially out, freely streamable and/or downloadable, packed with lots of goodies.. and I might have some additional points of interest to share (to further hammer my SEO flags into uncharted territories in the net, vast and infinite). Enjoy! BEHIND-THE-SCENES: You might read a few things here about the EP you didn’t know but there’s a whole damn repository of BTS intel packed with the EP. As I’ve always loved wading knee-deep in Angelspit’s blipverts or the audio commentaries Blue Stahli packed with his releases and as I’ve had LOADS of different MP3 drafts from different stages of writing a song, I thought it would be a great thing to actually make a production diary for each and every song. This way you can hear how the first core loops sounded like, what the idea is behind each title or how Lensjammer, for example, was originally a jingle for a European Space Agency music competition. If you haven’t grabbed the prod diary yet, now is the time – enter your email address here and grab a hefty download! COLLABORATION: I am really humbled to say this but it was one of my favourite musicians, Martin Bowes of Attrition (and Engram) who worked on the EP in terms of mixing and mastering (and additional production). 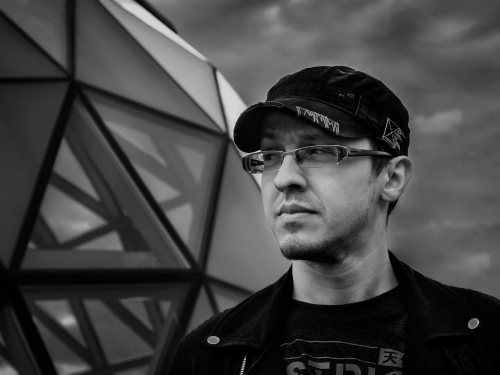 He’s a great guy, definitely knows his trade and I’ve surely learned a lot during our time working on the EP tracks – we actually agreed at some point that the premix tracks could have easily been called industrial dub as I’ve suffocated them with a more than fair amount of reverb and decay. And it wasn’t just him to remix these tracks – I could also feature long-time industrial favourite The Mercy Cage on the EP with a buddy of mine from the London days, Lhasa Mencur (whose sound pack I also reviewed here earlier), Hungarian industrial veteran First Aid 4 Souls and the solidly-rocking Black Nail Cabaret. And the artist photos were shot by Balázs Kassai, as always – he’s not just a good friend (since high school, actually) but he’s also the guy who makes the best photos of my weirdly changing, coffee-deprived face. Period. COVER: The front/back cover, the inlay and the logo (with additional pieces of artwork) was created by a long-time buddy of mine, Péter Sántha – the Hungarian readers might know him from LD50 and our collaboration on Carbonbonbons, a goth T-shirt brand. Peter had a great idea for creating an EP moodboard: he told me to pick a huge handful (25-50, maybe?) of industrial album covers that I like and find patterns in them when I feel I’ve selected enough. Weirdly enough, all of them feature screaming faces with protective eyegear. It turned out that his buddy Jeremy Falconer has a statue that would be just the thing for the album cover – and from that moment on we were pretty much set! CRYPTO: As you might have guessed from the title, there’s an overarcing idea about today’s surveillance society in the EP. There was even a long phase of production during which I thought adding a crypto game to the EP would really boost everything, from downloads through SEO and exposure to national security flags. I really wanted to encode a long list of references and messages into the artwork, the music, the lyrics, basically everything – but as I don’t have the proper brain for crypto and I had noone to help me out, I just left the idea sunbathing somewhere far away. Still, the first idea that I came up with is still embedded, quite audibly, in Lensjammer and I’ve already gotten the first proper solution from it from an eager listener who’d like to remain nameless. Congratz! DAW: I’m actually proud to say that the original tracks were done with Renoise. When I was making music in the mid-nineties (I’ve compiled the best tracks of that period under the title Track Record), I was working with FastTracker, a music-making software with a vertical workflow, looking much like Excel. Apparently that’s the workflow I can work with, as I do have trouble finding an easy way into horizontal. (And Ableton is a no-go, I was flirting out with BitWig Studio for a time, but Renoise is simply, simply the best.) And the lovely Renoise team even pimped the EP through their social channels, which is a nice touch, thanks guys! And yeah, there’s more in the pipeline where this came from. Until the new release, stream the older ones from Soundcloud or Bandcamp or just download the full pack (there’s some nice endorsements there from Leaether Strip and Angelspit!) and spread the virus to your friends and neigbours! ROCK!